The latest banned & restricted update has been released, and the ban hammer has struck down Standard’s top 2 decks: Temur Energy, and Rumunap Red. This isn’t the first time Temur has been nerfed during it’s recent time in Standard. When Ætherworks Marvel was the top deck in Standard it abused the Energy mecahnic, and even cast any spell for free. However each time a card was banned, from Emrakul the Promised End, to Ætherworks Marvel, to even Felidar Guardian (as the Saheeli Combo was in the Temur Energy deck) it didn’t seem to matter. The Temur deck just kept changing, adapting, and dominating. On Monday these cards were told to leave the Standard environment joining a list of cards banned in recent months (MONTHS, not years). Attune with Æther provides a ramp to 2 resources (Energy, and mana) on one card. Rogue Refiner is a free card attached to a 3/2 body. Ramunap Ruins provides a level of inevitability that is extremely difficult, if not impossible, to interact with. The recent bannings in Standard have caused a lot of concern, and while a lot of it does have to due with the current percentage of the meta that the decks affected share we have to look deeper as the reasons for this are not immediately in front of us. There are many factors that tie to where we are now with the issues going on in Standard, and perhaps the game overall. A lot of these changes have been impacted by feedback from the community over the last several years, as well as feedback from those members of the community who are focused on tournament play beyond the FNM level. Wizards of the Coast has tried to make changes based on this feedback, and each one seems to have presented other issues that then needed addressed in some way. Tournament players did not want to be forced to play a format just because it was in season. They also wanted a “best deck” for any format they had to test. Years ago a format called Extended existed. It was a rotating format where your card that were formerly in Standard could still be played, but there was no focus on the format from the Tournament community unless it was in season. The format was also not supported at the FNM level so opportunities to practice were left up to the players to find. 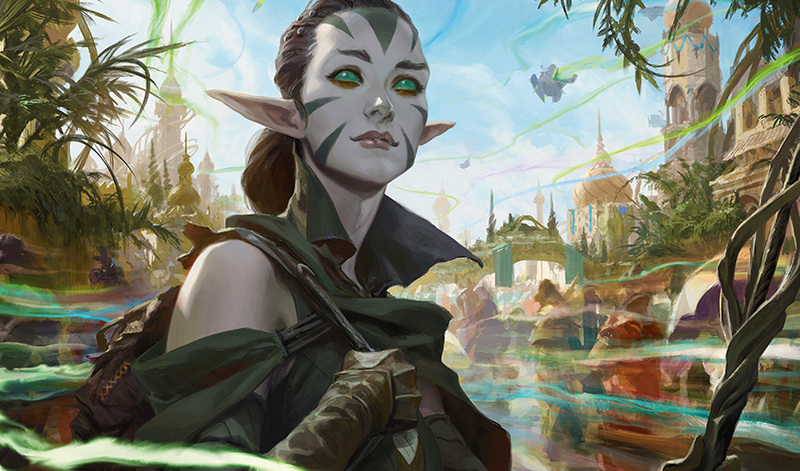 Without FNM support the format could not draw new players in, and there was an assumption players would just keep their cards to build Extended decks on their own. This was not the case, and eventually this format was replaced by Modern. A non-rotating format that started with the Modern card frame, and went forward. Any card printed with the Modern card frame was legal regardless of when it was printed initially. This opened the door for a lot of reprints that appeared in Magic to now have their original printings legal in a sanctioned format supported by Wizards of the Coast. While this brought about a lot of excitement from the community it still felt like players were forced to play a new format if they were wanting to compete at higher than FNM levels. There was also the issue of a format being wide open where there was not (and in many aspects still not) an established “best deck”. For those on the tournament scene it’s easier for them to know what decks to either simply just play, or prepare to beat. This is something that has been at the core of Standard for awhile, but has been intensified over the last few years. Another initial concern about Modern was lack of card availability. Those who played Extended competitively would buy the deck for the season, then sell it immediately at the end of the season. While kept store in stock of a lot of non-Standard cards that didn’t see much (if any) Legacy play once the announcement of the Modern format happened interest in those cards increased depleting stock. Wizards of the Coast then went to work making sure players had access to certain cards from Magic’s past while making sure including those cards either fit their design for Core Sets, or the expansion they were being included in. Tournament players felt certain cards were “too good” for Standard. When Mutavault came out in Magic 2014 it was a sign that Wizards of the Coast wanted to slow the format down, and move away from the 3-color format Standard had been for a few years after Caw-Blade summer (more on that in a later article). A lot of these changes were also done after that summer as it was one of the most oppressive in the history of the game. There were no Tribal strategies happening at the time of M14’s release, nor in the Expansion prior to it: Return to Ravnica block. While Pack Rat was able to use it’s ability to discard cards to make more rats you increased your number of black mana symbols to win the game. It was damn near inevitable, and I had not seen black at this level of power since Necro-winter. To be fair Thoughtseize was not the problem with the deck. Many players who could not afford to run Thoughtseize chose to run Duress, which was potent enough to remove any interaction the opponent would use to disrupt you. While players were not happy with this format by the end of the Theros block there were several decks people played which could win. Tournament players were not locked in playing only 2 decks for the best results. We had anything from Azorius Control, Jund Monsters, a Selesnyia beat-down deck, Mono Blue Devotion, RDW, and more. There were a lot of options, and players still had room to explore what was given to them even with the Pack Rat menace present. During the same summer of M14’s release we also had Modern Masters released. Wizards of the Coast knew that they could not reprint EVERYTHING into Standard. Some cards would not work in the environments being built, or push design a certain way to become out of balance, and needed an outlet to reprint Modern cards in packs for people to buy. Thus Modern Masters was born. So by the time that we reached the end of the Theros block we had a new non-rotating format, and a line of reprints coming our way. While many players felt some of these reprints in Standard were too powerful Wizards of the Coast made one more attempt to provide Modern level reprints. Since the Onslaught block Fetchlands have been a powerful tool for fixing mana that can be played in any color strategy (even mono colored). As Zendikar approached release the original Fetchlands were going to rotate out of Extended, and to counteract that loss we were given Fetchlands in Zendikar that searched for enemy colored pairs. When it was time to release Khans of Tarkir Wizards of the Coast decided to provide us reprints (much needed at that point) of the original Fetchlands from Onslaught which now made them Modern legal, as well as more affordable. The lands then suddenly saw a lot of play in Standard, lead us back to 3-color builds, and with the Scry lands from the Theros block helped smooth draws in a new way for Standard players without making things too broken. The Fetchlands did add some extra shuffling to the games that many felt bogged down the game, and provided something unnecessary to the game. While I understand their concern at the time there was nowhere else to place these lands (as Modern Masters 2017 was too far away). A reprint was needed to help inject interest into a format that just left Pack Rat summer, and to help drive a new format (Modern) by getting people to buy Standard packs. For a time it worked, however the Standard environment at it’s beginning felt like a hard shift to a mostly Midrange strategy, and it wasn’t until Dragons of Tarkir was released that there was a glimmer of hope for any decks attempting to Control the pace of play. With the release of Magic Origins we received perhaps one of the most powerful Planeswalkers in the form of a creature, and once again his name was Jace. Needing only 5 cards in your graveyard to find his spark the Fetchlands helped push him towards that, as well as his price tag, and suddenly he was appearing in nearly every deck. Especially when the Battle For Zendikar was released. These new duals allowed players to play with 4-color decks seemingly at will, and honestly the design did not seem intended to head that direction. The text on these duals checked for 2 basics (or any color of mana) when they entered in order to avoid entering tapped. However the Fetchlands allowed players to find this land first, pass the turn, then start playing basics to cast their spells. Nearly every deck had Jace, Gideon Ally of Zendikar, and Siege Rhino in it. Yes it was powerful, but again pushed Midrange strategies to the extreme. Something had to be done to curb the power level while keeping Standard fresh. Tournament players felt the 3rd set in a block was a dud, and to them there was little value in the Core Sets. While a lot of this was viewed mostly from the perspective of Drafting it did cause Wizards of the Coast to look at ways to address those concerns while also reaching out to new players (which is what the Core Set was intended to do while also providing us reprints). In order to combat this the Core Sets were removed, “blocks” went from 3 sets to 2, and 4 expansions were released every year. With the removal of Core Sets Wizards of the Coast lost the ability to provide generic answers to problems either currently happening, or answers to potential problems. YES! INTERACTION! HOLY COW! With the desire by the Tournament players to not have powerful cards in Standard, and have “best decks” the Standard sets would eventually slowly devolve into cards Drafted for a few weeks, then the best deck in Standard was found, and played into the ground. You can read more about my thoughts on the Core Set removal in my article here. While Wizards of the Coast attempted to provide interesting things (returning to Innistrad, the introduction of Vehicles, and the Energy mechanic) each set release would continue to devolve into Draft, figure out the best deck in Standard in no time at all, and play it to death. Standard slowly became very boring, and uninteresting on many levels including coverage (more on that in a future article). Since then there has been an announcement that Core Sets are coming back (this summer, it’s true! ), and after 1, yes…one, rotation of 4 Standard sets Tournament players…you guessed it…provided feedback that caused Wizards of the Coast to change back to a once per year Standard rotation happening in the fall of each year (which is what it was changed from). We’re also moving away from 2-set “blocks”, and each set will be it’s own stand along expansion where only the story elements would tie one set to another. Will that have any impact in a positive manner? Will more bannings happen? We’ll have to wait and see. In this first part of reviewing the problems of how we got to where we are now we reviewed the Tournament player impact on the changes and design of the game. They ask for “the best deck”, but don’t want cards to be too powerful for Standard, but also want things to be interesting, however as we’ll later find out not everyone likes there cards to be interacted with. That sounds like a tall task to balance all of that, and there is a possibility that we have caused all of this to happen. Thank you all for reading the first ever “Something To Ponder”. In the next article of this series we’ll look at a deck that dominated a whole summer at the rise of tournament coverage, and a competitor that may have taken the idea of Magic: the Gathering, and drive right past Wizards of the Coast to large profits.